BLOG — NEORIS Corporate WebsiteWe are a global Digital Transformation and Solution integration firm. Transforming the Future of Manufacturing. 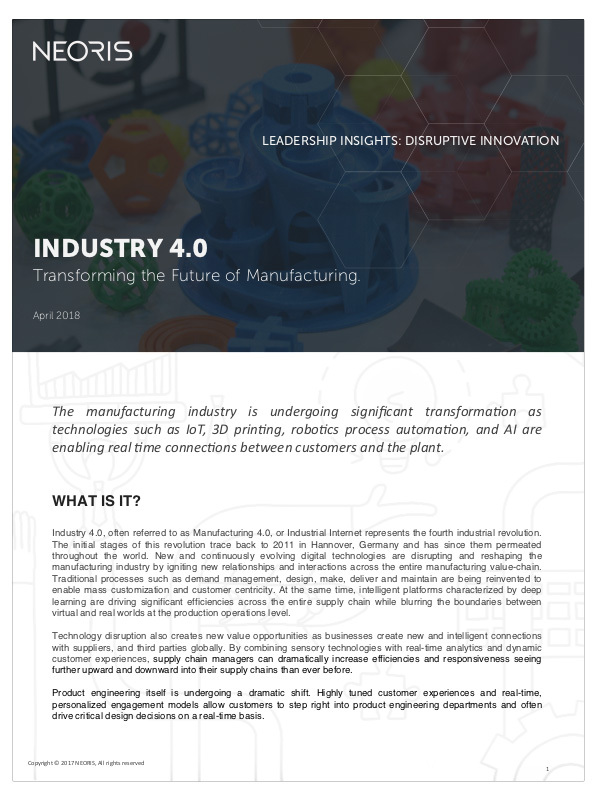 Manufacturing is undergoing significant transformation as technology is enabling real time connections between customers and the plant. Discover how RPA can help automate high-volume routine activities so that your teams can improve their productivity. Cybersecurity. 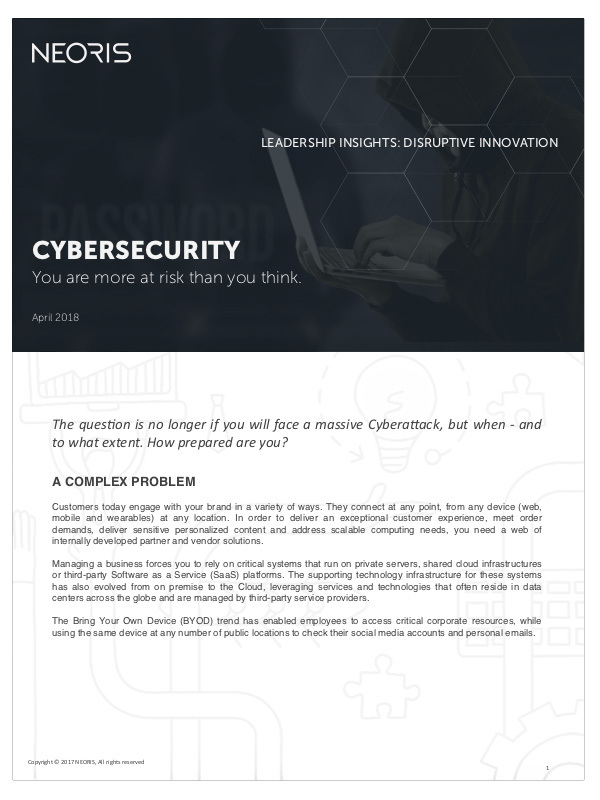 Why you are more at risk. 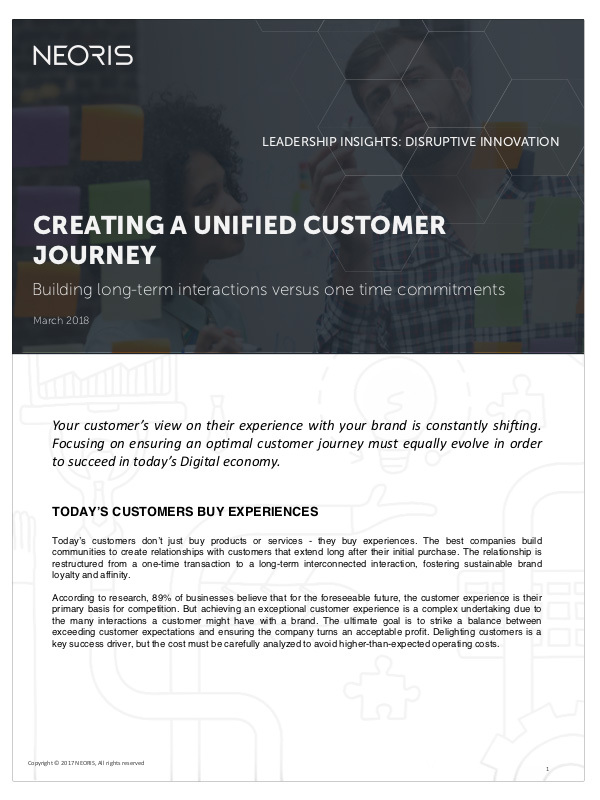 Understand how to build an end-to-end customer journey strategy that goes beyond a front-end customer experience. 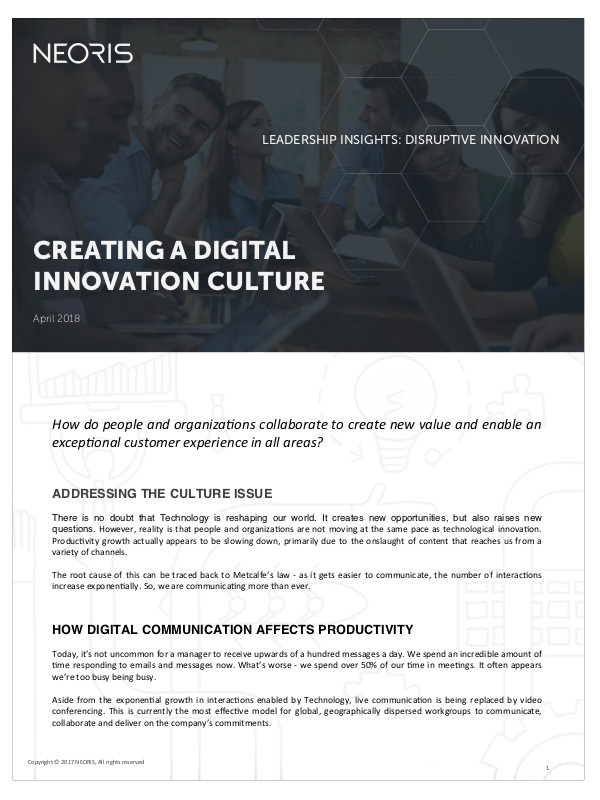 Creating a Digital Innovation Culture. How do people and organizations collaborate to create new value and enable an exceptional customer experience in all areas? Visit our blog to learn more about our insights and perspectives.